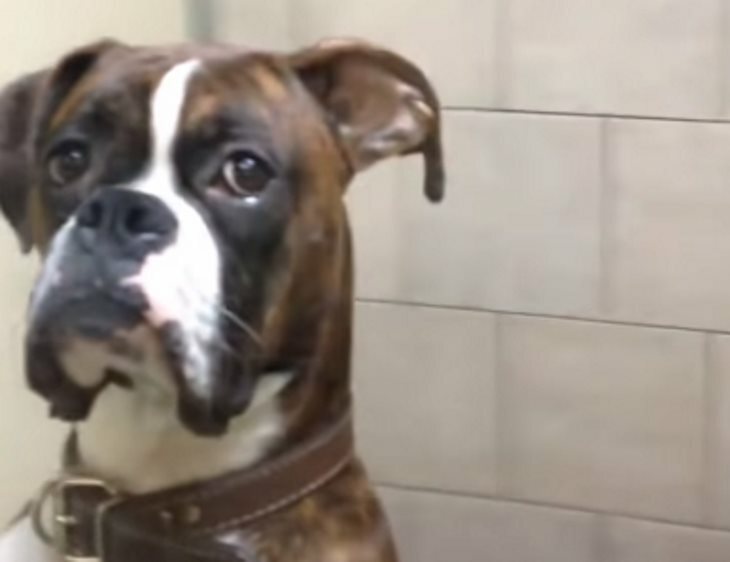 Dogs don’t always enjoy going to the vet. Some even try to plant their paws on the floor, adamant about their owners not taking them to the exam room. Whether the dog is a guard dog or one that simply lounges on the couch all day, their actions can be comical at times. Many dogs that are trained for security purposes often have a stern look and appear as though they are the toughest among their breeds. 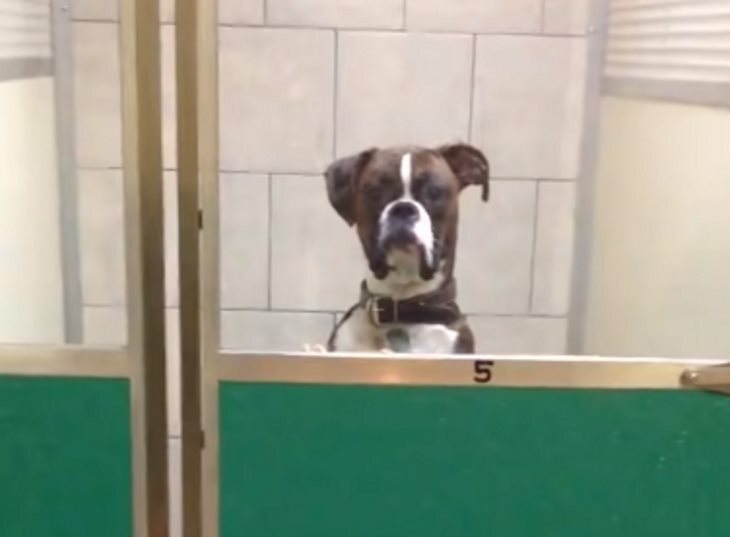 Even the toughest dogs need a little time to play and act like a puppy again. Therapy dogs are the same as they enjoy playing when they aren’t providing safety and protection for their owners. Dogs are always there for you when you need a hug or when you just need companionship. They are there when you want to play or when you want to sleep. Dogs enjoy traveling, and they can cause a few laughs as well. 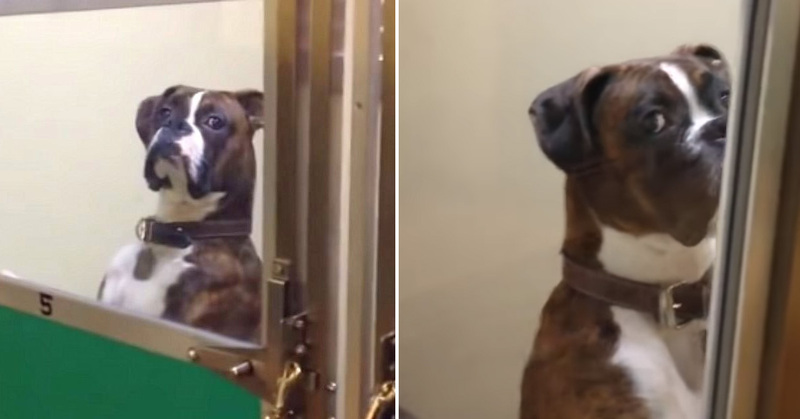 One dog has a few expressions that he gives his owner at the vet that are quite comical and likely exhibit how other dogs feel as well when they have to go to the doctor. There is no indication as to how long the dog was waiting at the vet’s office, but his expression suggests that he was there for some time. He had the same look for his owner no matter which angle his owner turned the camera. The dog’s eyes gave a sideways glance while the dog’s head was slightly turned to the side. Each time his owner turned the camera, the dog still had the same sideways stare and no other facial expressions. This dog seems as though he would be one to always keep his owner happy and on his toes.